On the issues concerning farmers, Chief Minister Shivraj Singh Chouhan ruled out granting a complete loan waiver like Maharashtra and Uttar Pradesh. Shivraj Singh Chouhan also said the government will not spare those responsible for violence in Mandsaur. 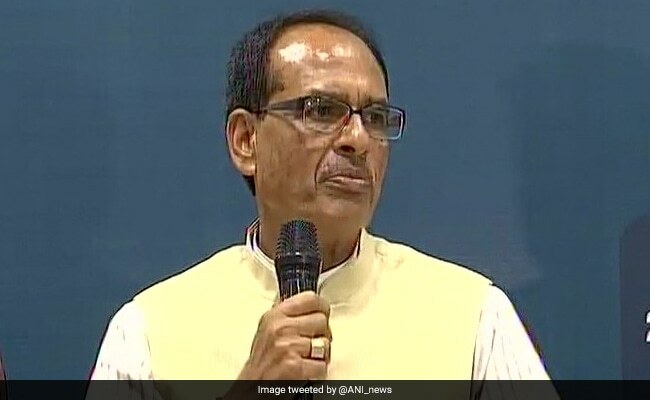 Bhopal: The Madhya Pradesh government will give a compensation of Rs one crore to the kin of soldiers from the state who die in the line of duty, Chief Minister Shivraj Singh Chouhan has said. On the issues concerning farmers, Mr Chouhan ruled out granting a complete loan waiver like Maharashtra and Uttar Pradesh, but said a scheme would be framed to repay the interest of the defaulter cultivators so that they can avail loans at zero per cent interest rate. He assured the House yesterday that the government will not spare those responsible for the violence in Mandsaur in which six farmers were killed during the unrest last month. "We have constituted a judicial commission to probe the Mandsaur incident and whoever is responsible for it will be given stern punishment after getting the report," the chief minister said. He was replying to an adjournment motion moved by Congress MLA Govind Singh and Leader of Opposition Ajay Singh. However, dissatisfied with his reply, the Congress members staged a walkout, saying Mr Chouhan evaded responding to their specific allegations of the involvement of some BJP leaders in the Mandsaur incident. They also said that Mr Chouhan didn't specify the time-frame in which the commission will complete its probe. A Congress member stated in the House that though the government had announced a compensation of Rs one crore for deceased farmers, it had refrained from extending the same to martyred soldiers. Reacting to it, Mr Chouhan said, "When the Mandsaur incident took place, the Congress had demanded that Rs 50 lakh be given to kin of the deceased farmers, but I was quite aggrieved due to the incident and announced the compensation of Rs one crore." 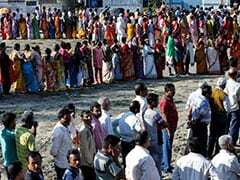 He said the government has been giving Rs 25 lakh, a house or a flat to the kin of the jawans who were killed. "We are also giving a government job to his (soldier's) kin. I pray to God that no soldier gets martyred and in case that happens, then my government will give a compensation of Rs one crore to his kin," Mr Chouhan said. He also announced setting up the 'Krishi Mulya Lagat Vipnan Ayog' (agriculture price, cost and marketing commission) which will decide the prices of agriculture produce in advance to protect the farmers. "The government is committed to this issue," the chief minister said, adding that it is a "fact" that agricultural production has risen in the state, resulting in a "drastic reduction in prices". "The commission will ensure that they (farmers) get fair price for their produce, and Madhya Pradesh will set another milestone in this regard in the farmers' interest," he said. Mr Chouhan alleged that video clips purportedly of some Congress leaders and masked men inciting people to set afire a police station and other places in the aftermath of the Mandsaur incident proved that they were behind the violence. "The farmers were not behind the violence as they don't believe in it," he said. Referring to suicides by farmers due to indebtedness, Mr Chouhan said 72 per cent cultivators in the state repay their loans on time. "A scheme would be framed to repay the interest of the remaining 28 per cent defaulter farmers so that they get loans at zero per cent interest rate," he said. Mr Chouhan said it was not possible to grant a complete loan waiver to farmers on the lines of Maharashtra and Uttar Pradesh as "Madhya Pradesh (government) had already given assistance to the tune of Rs 1,18,000 crore to farmers during the last 10 years of the BJP rule." On the issue of framing a law to check the menace of money lenders because of whom farmers are forced to commit suicide, Mr Chouhan said a bill in this regard was sent to the president for his assent. "The moment we receive the signed bill, a strict law will be enacted to deal with the problem," he said.